If you want to use solar for your electric source, you can use photovoltaic solar panels to do that. Those are the ones that fit on your roof and collect the sunlight. There are pictures of those solar panels on the top of this site. 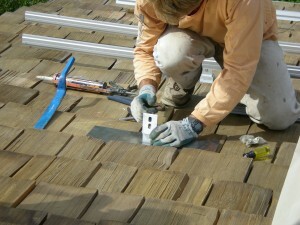 These types of panels convert the sunlight into electric current. 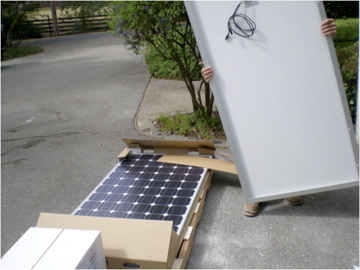 And, with today’s technology for solar panels, this type of solar system can plug directly into your house right where the electric company connects to your electric panel. This is also a great thing to get solar hot water going. It will also save you alot of money in the long run. The idea is similar, you will use the sunlight on your roof that will hit another type of panel that will be able to heat up your water tank. This type of system for solar hot water is quite a bit cheaper than the system for making solar electricity too. If you plan on living in your home for a long time, you should get this going soon, it will only benefit you. 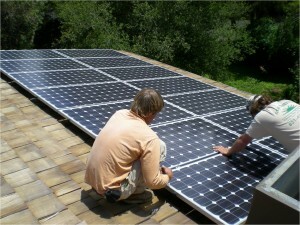 And if you talk to some local solar people, they might be able to find you some local rebates on this type of system. If you want to have some other good heating method, you can use passive solar light to help heat up your house. This is something that not everyone thinks about, but there are some really good windows you can put in your house that have great insulation, and with the light that comes in, you can also heat up your house. In the summertime, you can put something up to block some of the light to keep things cool too.